Storytellers: Kathy Gillis, Warren McPherson, Beth Rogers, Sukita Crimmel, Beth Duckles, and Cindy McGean. A few shows are ticketed through other producers. 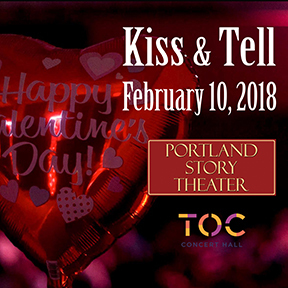 Links are available on the landing page of the Portland Story Theater website.